This light and gentle cream replaces Ayur Medic Pigment Relief Cream which is discontinued. It has same formula and skin benefits, contains high levels of Vitamin C and active ingredients that clarify the skin and provides a uniform color, while hydrating, firming and protecting against free radical activity. Anti-Bacterial Wash with Exfoliating Beads 8 fl. oz. This item is BACKORDERED from the manufacturer. Anti-Bacterial Wash - A smooth lightly foaming exfoliating clanser. It disinfects acne bacteria below the surface of the skin, while regulating sebaceous activity. Formulated with tiny polyethylene beads and tea tree oil, every cleansing leaves you with a fresh, just had a facial, feeling. Calming Mask 2.5 fl. oz. Developed for skin suffering from acne, inflammation or rosacea. Is formulated as a soothing anti-inflammatory and desensitizing mask. The mask is also recommended for use following natural extractions. Resurfacing Toner for Acne Skin 8 oz. Resurfacing Toner for Acne Skin - This potent tonic is antiseptic and exfoliating. Designed to control excessive sebaceous secretions as it dissolves acne lesions. Removes dead cell build up allowing for the pore to drain and normalize. Contains Salicylic Acid, Glycolic Acid, Benzoyl Peroxide, Tea Tree Oil and Witch Hazel Extract. Salicylic Wash 8 fl. oz. Is a concentrated gel cleanser that aids in the treatment of acne-prone skin by disinfecting, exfoliating and calming the skin. The wash is also formulated to deeply cleanse the pores. Helps to rejuvenate tired skin and reduce inflammation and the appearance fine lines and daily stresses. Enhancing Cream, for Dry Skin 2 oz. Enhancing Cream, 2 oz. - A light nourishing cream that helps contribute to the protein synthesis in the skin, aiding in the development of collagen and elastin, which reduces the appearance of fine lines and wrinkles. Key Ingredients: DHCA complex, arnica ext., avocado oil, chamomile ext., liposomes A,C, & E, panthenol, and sodium PCA. Enrichment Cream, for Mature Skin 2 oz. Intensive Face and Body Cream 6 oz. Intensive Zone Body and Face - Clinically proven to stimulate collagen systhesis in the skin by over 50 percent in an 2-6 week period. Fibroblasts begin to produce more collagen in significant quantities. Helps to achieve a healthy, toned skin appearance. Dramatically reduces appearance and texture of stretch marks. Neck and Chest Cream 2 oz. Neck and Chest Cream 2 oz. - Used nightly this product will improve flaccid, devitalized skin by restoring connective tissues. Key Ingredients: Hydroxyproline-C, aloe vera, yeast wall ext., echinacea, arnica, carcinine hydrochloride (alistin) and shea butter. Calming Cleanser for Sensitive Skin 8 fl. oz. This item is BACKORDERED from the manufacturer. This cleanser formulated with milk thistle, licorice root and green tea extract reduces inflammation and the appearance of fine lines and wrinkles, it is also recommeded for conditions such as rosacea and contact dermatitis. Cucumber and Jojoba Bead Cleanser 8 fl. oz. Cucumber Bead Cleanser is a gentle exfoliating cleanser that uses eco-friendly jojoba beads. Cucumber extract is added to refresh and gently cleanse the skin. Sulfate free and suitable for all skin types - including sensitive skin. Lemongrass Cleanser, Oily to Problem Skin 8 oz. Lemongrass Cleanser, 8 oz. - a fabulous oil-free exfoliating cleansing gel containing 10% glycolic acid and ayurvedic herbs to help clear and clarify problem skin. Also can be used as a dandruff shampoo 2 to 3 times a week. Key ingredients: Glycolic acid, Lemongrass and Neem Ext. Manjista Facial Cleanser 8 fl. oz. Manjista Oily Skin Cleanser, Normal to Oily Skin 8 oz. Manjista Oily Skin Cleanser, 8 oz. 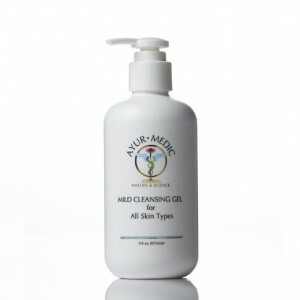 - an oil-free, easily rinsed cleansing milk formulated for an oily, combination to normal skin. Completely removes make-up and excess oils without stripping the skin of its moisture. Ayurvedic herbs are used to calm down sebaceous activity. Key Ingredients: Manjista Ext., Bergamot Ext., Sage Ext., Neem Ext., Milk. Mild Cleansing Gel 8 fl. oz. A mild cleansing gel that is sulfate free, containing natural extracts and vitamins that gently cleanse, nourish and preserve the skins natural barrier. Orange Blosson Exfoliating Cleansing Milk, All Skin Types 8 oz. Orange Blossom Exfoliating Cleansing Milk, 8 oz. - An oil-free exfoliating milk for all types of skin. Removes dead skin cells without harsh abrasion. Contains 10% glycolic acid and Orange Blossom extract for calming and soothing the skin. Key Ingredients: Glycolic acid, Orange Blosson, Gotu Kola and Comfrey. Vacha Dry Skin Cleanser, Dry to Sensitive Skin 8 oz. Vacha Dry Skin Cleanser, 8 oz. - A creamy, easily rinsed cleansing milk that has the perfect blend of natural ingredients and ayurvedic herbs to softly remove make-up and impurities from the skin while preserving the skin moisture. Key ingredients: Vacha, red rose ext., chamomile ext., cucumber and milk. Vacha Facial Cleanser 8 fl. oz. Vacha Dry Skin Cleanser by Ayur-medic is a light, easily rinsed cleansing milk that gently removes make up and impurities, while preserving the skins moisture. Vacha, an Ayurvedic herb, balances moisture. Red Rose extract soothes, hydrates and gives this cleanser its naturally gentle fragrance. hi poten C Cream 2 oz. Pumpkin Exfoliant 2.5 fl. oz. Eye and Lip Line Corrector 0.525 fl. oz. Eye And Lip Line Corrector - Specifically formulated for the wrinkle prone areas around the eyes and mouth. Rich in natural silicone based ingredients and retinol which have a positive action on rebuilding and supporting devitalized skin. Additionally special Algae and herbs have been introduced into this formulation to help reduce inflammation and help to combat free radical activity. Intensive Zone Eye Lift Gel 0.5 fl. oz. Growth Stimulating Brow Gel .27 fl. oz. This item is DISCONTINUED by the manufacturer. Ayur Medic is an eyelash growth stimulator that uses botanical and natural ingredients to give you longer looking lashes. To shape and hold brows in place. Apply brow gel after make-up to promote healthy brow growth. Retinol Cream 2 fl. oz. This light retinol cream helps stimulate cell regeneration and aids in collagen production, which can diminish the appearnace of fine lines, wrinkles, and age spots, as well as reduce pore size and the occurence of blemishes. Brow Enhancer .27 fl. oz. This item is DISCONTINUED by the manufacturer. Lip Enhancer .27 fl oz. This item is DISCONTINUED by the manufacturer. Hydrates, volumizes, smoothes fine surface lines and improves lip contour. Clearifying Mask - Oily and Impure Skin. This mask helps the skin to correct sebum secretion, evens the skin tone, ensures soothing and calming of the skin. Contains Vitamin C, Kaolin, Green Tea Extract, Cucumber Extract, Dead Sea Brine, Hydrolized Wheat Protein and Menthol. This refreshing and hydrating mask is designed specifically for dry skin. Restores natural balance, hydrating and nourishing, dermatologist tested and approved. Papaya Enzyme Peel 2.0 oz. Papaya Enzyme Peel - Oily to combination skin. This is a very effective physical exfoliator that helps to purify and regenerate the skin. It is recommended as an Anti-Wrinkle and Anti-Blemish treatment. Contains Green Papaya, Pineapple juice, Honey, Tocopheryl Acetate, Lactic Acid, Salicylic Acid and Acetic Acid. Specially designed to maintain the skin s moisture while repairing and lifting. Use under your cream for a hydrated, toned, and radiant skin. Key ingredients: apple stem cell, argan oil, acai oil, rosehip oil, lifting complex. Clearifying Cream, for Oily to Acne Skin 2 oz. An oil free moisturizer recommended for oily and acne prone skin. Helps to combat blemishes and clarify skin while maintaining hydration. Reduces inflammation. Key ingredients: Comfrey ext., aloe vera gel, burdock root, neem ext., rosemary ext., allantoin, algisisim-C DSBC, salicylic acid and triclosan. Pigment Relief Cream 2 fl. oz. This item is DISCONTINUED by the manufacturer. For lightening skin discoloration. Benefits include reducing hyperpigmentation, photodamage, inhibits synthesis of melanin, protects skin from free radical activity. Dermatologist tested and approved. Pigment Relief Gel 1 oz. Pigment Relief Gel, 1 oz. - A light non-irritating gel contains synergistically blended natural ingredients that are known to regulate and lighten skin discoloration. Glycolic acid works to break up the hyper-pigmentation in the skin while the Kojic Acid, regulates the action of the enzymes which create the pigmentation in the skin. Key Ingredients: Glycolic acid, kojic acid, licorice root ext., ascorbic acid (vit. C), tocopheryl acetate (vit.E), cucumber ext., St. Johns Wort ext., carcinine hydrochloride (alistin), leukocyte ext., and lemon ext. Calming Cream, for Polysensitive Skin 2 fl. oz. Calming Cream - reduces redness and irritation, anti-inflammatory, protects skin against sun damage. This cream provides pain relief while reducing redness and irritation. It also includes a natrual sunblock that protects against sun exposure. Collagen III Serum 1 oz. Collagen Stimulating Serum, 1 oz. - Every drop of Collagen Stimulating Serum which should be applied to the face, neck and chest each morning, contains ASC III (produces restructuring collagen), Alistin (protects skin after oxidative stress), Echinacea (a Natual skin-firming herb), and Tulsi (Indian Basil, a nutural emollient). Good for skins 35 and over. Excellent repair treatment for acne scarring. Increases firmness and tone of skin. DNA Repair Serum 2 fl oz. This item is DISCONTINUED by the manufacturer. This complex contains high amounts of amino acids and adenosine triphosphate as an energy booster. hi poten C serum 1 oz. Glyco- C Serum, 1 oz. - By applying several drops of this serum nightly to your face, neck and chest, you can help reverse the effects of sun damage and aging, while promoting the production of healthy skin cells. Key Ingredients: L-Ascorbic Acid, Glycolic acid, Carcinine Hydrochloride (alistin), and B-6. Glyco-CEA Gel 2.0 fl. oz. This hydrating and exfoliating antioxidant gel improves texture, revitalizes hydration to the skin, while soothing and repairing breakouts. Hydrating Gel Mask for all Skin Types 2.5 fl. oz. Spot Healing Gel for Blemished Skin 2.5 fl. oz. Broad Spectrum UVA/UVB Block 2.5 fl oz. This item is BACKORDERED from the manufacturer. Broad Spectrum UVA/UVB Block Spf 30 Tinted Waterproof 2.5 oz. This item is BACKORDERED from the manufacturer. 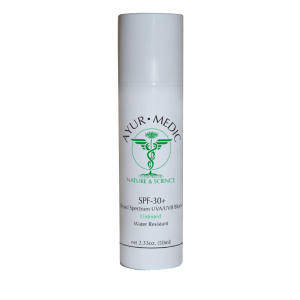 Broad Spectrum UVA/UVB Block Spf 30 - Tinted - The greatest cause of skin damage, premature aging and skin cancer, is exposure to the suns ultraviolet rays. This distinctive sunblock formulation is rooted in state-of-the-art photo protection science. Microfine Zinc-Oxide serves as a broad spectrum block that inhibits UV ray penetration. Alistin protects against cell membrane damage, and lipisomes A, B, C and E fend off sun-induced free radical activity. 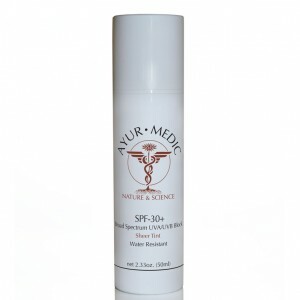 Broad Spectrum UVA/UVB Block SPF 30+ Sheer Tint Water Resistant 2.5oz This item is BACKORDERED from the manufacturer. Sheer Tinted Sun screen Broad Spectrum UVA/UVB Block Spf 30 2.33fl. oz. This item is BACKORDERED from the manufacturer. Untinted Sun screen Broad Spectrum UVA/UVB Block Spf 30 2.33fl. oz. Broad Spectrum UVA/UVB Block Spf 30 The greatest cause of skin damage, premature aging and skin cancer, is exposure to the sun s ultraviolet rays. This distinctive sunblock formulation is rooted in state-of-the-art photo protection science. Microfine Zinc-Oxide serves as a broad spectrum block that inhibits UV ray penetration. Alistin protects against cell membrane damage, and lipisomes A, B, C and E fend off sun-induced free radical activity. Manjista Oily Skin Toner, Normal to Oily Skin 8 oz. Manjista Oily Skin Toner, 8 oz. - This toner is used to complete the cleansing process and uses Hibiscus and Fruit acids to diminish dead skin cell build up. Maximizes penetration of serums and creams. Key Ingredients: Manjista Ext., Cucumber, Horse Chestnut Ext., Witch Hazel Ext. Vacha Dry Skin Toner, Dry to Sensitive Skin 8 oz. Vacha Dry Skin Toner, 8 oz. - This toner is used to complete the cleansing process and uses Hibiscus Acid to diminish fine lines, wrinkles and other signs of aging while maintaining maximum moisture. Maximizes penetration of serums and creams. Key Ingredients: Vacha, Hibiscus Acid and Essential Oil of Rose.